Wear your favourite Pokémon to the office, with style! 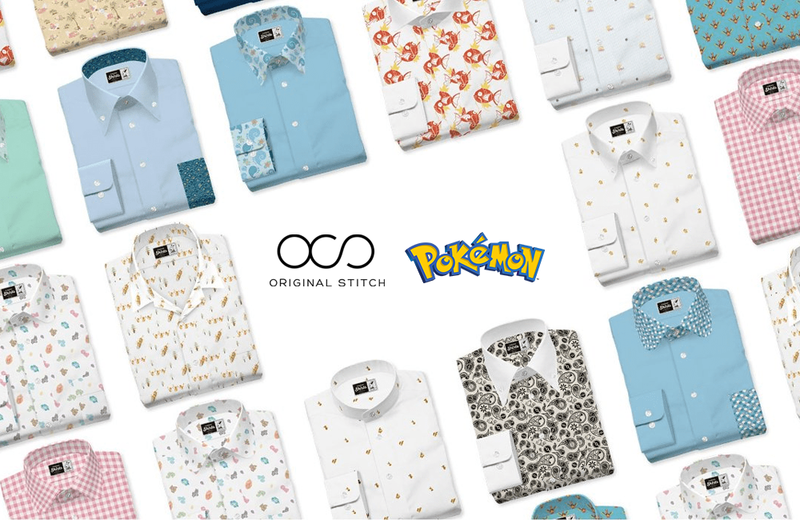 Custom dress-shirt designer Original Stitch is collaborating with The Pokémon Company on a shirt line. The 151 design choices coincide with the original list of Kanto Pokémon. All the fan-favorites are available, including Pikachu, Bulbasaur, Charmander, and Jigglypuff. Fashionistas will be able to customize their shirts. Choose whether a Pokémon pattern will fill the entire shirt or be used as an accent on the cuffs, collar, or pocket. Or, create a unique pattern by pairing different combinations of Pokémon characters. Custom-design Pokémon shirts will be available in Japan in late February 2019. As a pre-launch promotion, Original Stitch is now selling pre-designed shirts printed with characters like Pidgeot, Slowpoke, and Squirtle. The shirts are available for pre-order for 10,000 yen or approximately $91 USD.